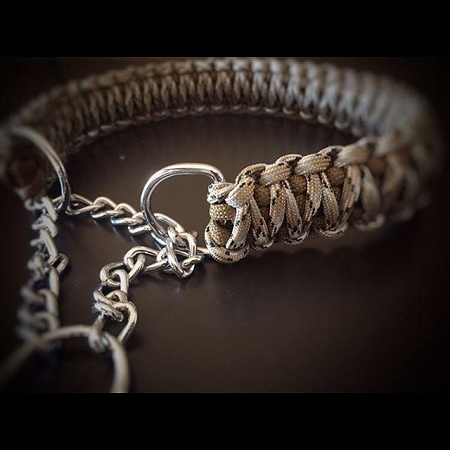 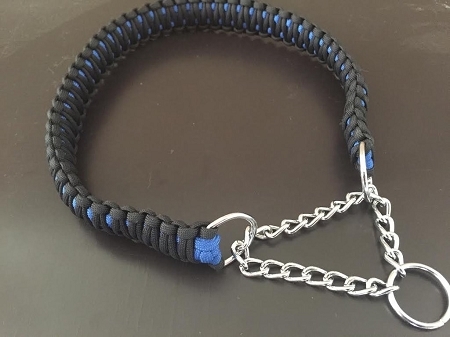 SIZE 9" 11" 13" 15" 17" 19"
The Martingale Dog Collar will set your dog apart from the rest of the pack with a stylish, yet very strong custom collar! 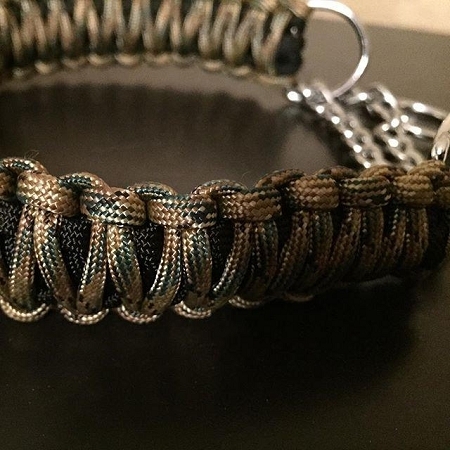 Foxden Tactical makes make dogs look good! 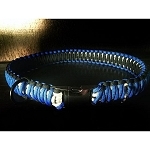 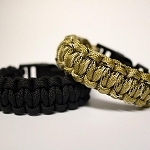 The premium collar consists of a King Cobra weave, martingale chain, D ring for leash attachment, and key ring for the name tags, license ect. 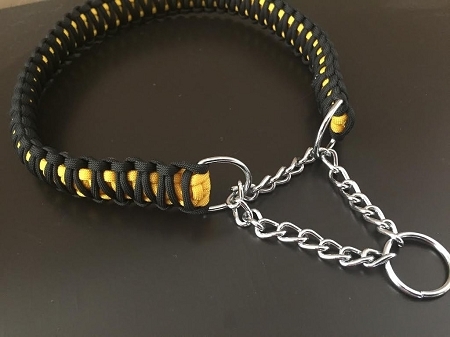 The martingale feature allows comfortable room while your pup is casually causing mischief, however on a leash its a whole new ball game. 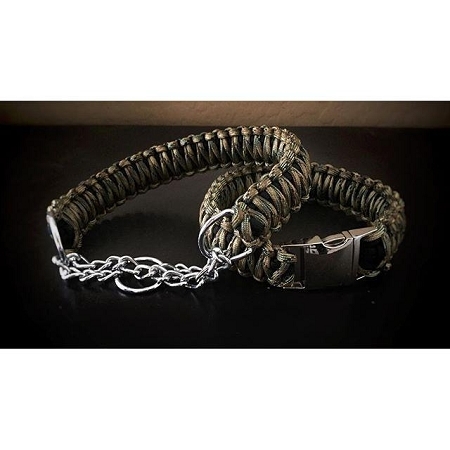 the martingale allows for the collar to cinch up on the dog allowing you to show them who's boss, collars aren't meant to harm a dog, they are simply for getting there attention.